The British International School of Ljubljana offers a traditional British education in Ljubljana. Our ethos is to encourage a passion for learning amongst our young people within this international setting. Our school currently has students aged 3 to 18 from more than 30 countries. About 40% of our students are Slovenian; others represent countries from as far apart as Australia and Norway and from Portugal to Japan. All subjects, except Slovene and French, are taught in English by a team of 37 full- and part-time teachers and assistants, mostly native speakers of English or fluently bilingual. Our Primary Section follows the National Curriculum for England, enhanced by our international approach and pedagogy. Our Secondary students are prepared for GCSE, IGCSE and A-Level examinations from Cambridge and AQA. 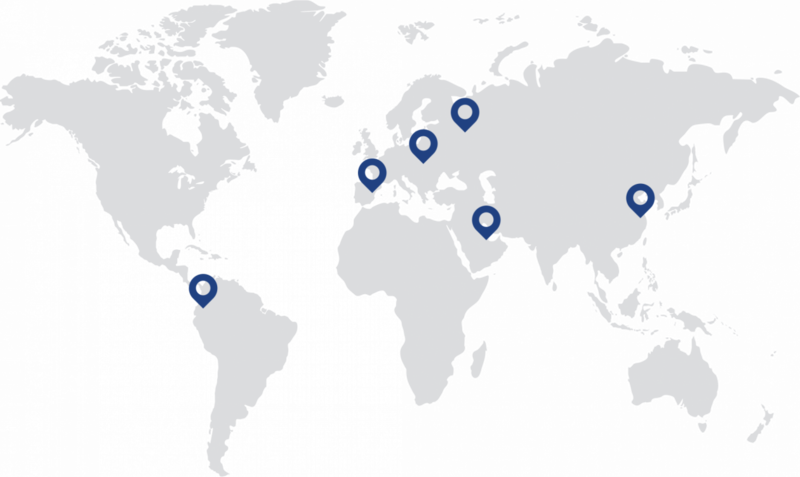 BISL is an accredited member of the Council of British International Schools (COBIS), a member of the Council of International Schools (CIS) and a Cambridge International School. I hope that, as you visit our website, you will get a flavour of the British International School of Ljubljana: who we are, what we’re doing, and where we’re going. Like many things within our school, I hope this site will be a blend of consistency and tradition, yet ever changing and evolving, as events, curriculum and the school environment combine to better meet the needs of our young people. The British International School of Ljubljana provides a unique educational experience - combining consistency and tradition yet ever changing and evolving as events, curriculum and the school environment combine to better meet the needs of our young people. Founded in 2008 by the late Jeremy Hibbins, BISL is unique in offering a traditional British education in Slovenia. We nurture a thirst for learning with an approach to education that reflects the character, charisma and vitality of our founder. He would be proud of our strong British-based curricular programme from the Early Years to the Sixth Form; of the broad range of enrichment and enhancement opportunities for our students – who are incredible young people from a kaleidoscope of different nationalities and backgrounds; of our experienced staff who are dedicated to their students; and of our parents who truly care about the school and are always keen to give help and support. These combine to create a vibrant multi-national community of learners within the wonderful culture and setting that is Slovenia. We welcome children of all abilities, all backgrounds and all cultures. Whilst learning is, and always will be, our main focus – our students are prepared for success at IGCSE and A-Levels – our aim is to ensure that each and every student has a happy and fulfilling learning experience throughout their time at the school, whether it is for just one or two years or if it is all the way from 3 to 18. We want them to take every opportunity, accept every challenge, build firm and lasting friendships and to be the creators of many wonderful, unforgettable and positive experiences in their time here. Most of all, we want them to be engaged and inspired to believe in themselves, so that they can achieve to the very best of their abilities, in whatever they do. I am extremely proud to be the Principal as the British International School of Ljubljana moves forward further into the 21st Century as part of the Orbital Group. The possibilities of what we can achieve are constantly evolving and truly exciting, and I hope you will enjoy the journey into the future with us. Within 10 years, we will be a nationally- and internationally-respected school of about 330 students aged 3 to 18, of whom half are Slovene. We aim for continuous improvement in the educational outcomes of our students. The British International School of Ljubljana provides a high quality international education in English, balancing tradition and innovation. Our passion is creating a positive, challenging and nurturing learning environment in which everyone is valued as individuals, empowering them to be versatile, motivated and caring people. The school takes pride in its happy, purposeful and positive atmosphere, in which all members of the community are valued and the teachers get to know every young person in their care to optimise their learning and development. At BISL, we emphasise learning to learn; the development of skills and the application of knowledge; and the holistic education of each individual. We encourage our students to aim high, to be creative in their outlook, to take calculated risks and to learn from their mistakes. We recognise the vital link between parents, school and community in contributing to the education of the next generation and work hard to foster this collaboration.Everyone in the BISL community can expect to be treated honestly, fairly and with respect by all. We acknowledge the importance of our students’ nationality as part of their identity and celebrate our diversity and internationalism. We recruit and select the best teaching staff to deliver our unique educational programmes. They are all fluent in English, mostly native speakers. Paul graduated as an Information Communication and Technology teacher in the UK and worked for over 10 years at 2 different schools. He then moved overseas and has enjoyed working in leadership positions at four different international schools in Hungary, Malaysia (twice) and Texas. He believes that we should encourage students to follow their passions, ambitions and inspire them to reach beyond what they feel is possible. All students should enjoy a great learning experience that is progressive, exciting and personalised. Paul has a MA in Leadership and Management and the UK’s NPQH (National Professional Qualification for Head teachers). 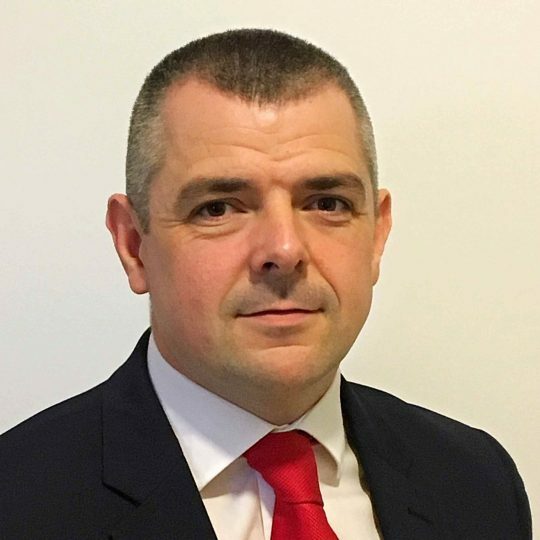 He has worked for two different exam boards, developed a pilot IGCSE course and led a group of schools in ‘Assessment for Learning’ in the UK. His track record of school improvement, student-led learning and leading excellent academic outcomes is something that he is extremely proud of. Paul has led a UK school out of over 600 others to be awarded the SSAT (The Specialist Schools and Academies Trust) ‘Learning Experience Award’ in 2005, received awards from BECTA (The British Educational Communications Technology Agency) and was nominated for ‘Teacher of the Year’ in 2008 from the National Teaching Awards Trust. 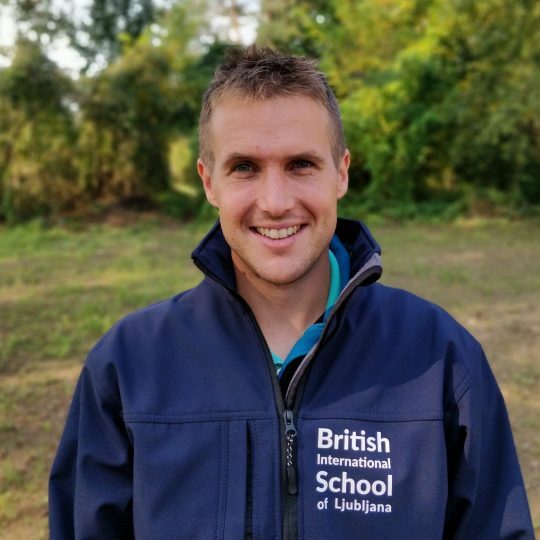 He is a qualified outdoor leader (Snowsport England), has led Skiing/Snowboarding trips, International Award trips and a European Code Camp promoting computational thinking across 7 schools. Paul is excited to learn about Slovenian culture, getting involved in a wide range of sports and exploring this wonderful country. After graduating as a Mathematics teacher from the Faculty of Mathematics and Physics, University of Ljubljana, Ana worked in three secondary schools in Ljubljana and a primary school in Domžale before joining BISL in 2013. Ana enjoys using and exploring different teaching methodologies, enhancing this through training as a Waldorf teacher. In her free time, Ana likes dancing and spending time outdoors with her husband, family and friends. Anda graduated from Ljubljana’s Faculty of Arts with degrees in Sociology of Culture and Slovenian Language and Literature. Before joining BISL in 2008 she had worked in the Slovenian public school system and also taught Slovene as a foreign language. Anda is a strong believer in a holistic approach to education, taking into account cognitive, social, emotional, cultural, neurobiological and spiritual aspects of the students. Besides her profession she enjoys various arts, reading and travelling. Andrej studied electro-technics at high school and at university in Ljubljana. After working at the Swedish Embassy and at the Mons Hotel, where he was responsible for much of the Conference facility, Andrej joined BISL as Facilities and Enterprises Manager in 2010 and played a major role in establishing the after-hours programmes and on-site school lunches. Having already been assisting with accounts, Andrej changed role to Finance Assistant after back surgery in 2014. Outside of school, Andrej is passionate about dogs, (he is an active member of Kinološko društvo Barje) and spending time with his family and his two Rhodesian Ridgebacks. Andrew has gained an MA in Digital Music Technology from the University of Keele as well as a PGCE from the University of South Wales, a BA in Music from the University of Southampton and a Master Certificate in Orchestration for Film and Television with Berklee College of Music. He started teaching at Music and Music in Performing Arts at Wilberforce Sixth Form College in Hull, England. His love of travel soon took him abroad where he taught Music in Dubai, Madrid, Malaysia and Tanzania. Upon his return home, Andrew taught BTEC National Diploma in Music Performance at Reigate College, one of the top three performing Sixth Form colleges in England and Wales. Andrew believes there are many great benefits of music in education but most importantly for him is how it opens up new sound worlds for students to explore. A good music education is important for students to appreciate, not only their own musical history and culture but also that of other countries from around the world. He believes that studying music and learning to sing or play a musical instrument improves a student's learning ability in other subjects. One of Andrew's great passions is to write music and as a freelance composer, he has been producing music for an Italian based music library. Anže is a former professional ski jumper. As well as competing at the top levels, he has worked as a coach and is a trained masseur. He has finished Faculty of Sports of Ljubljana with a degree in Nordic skiing. 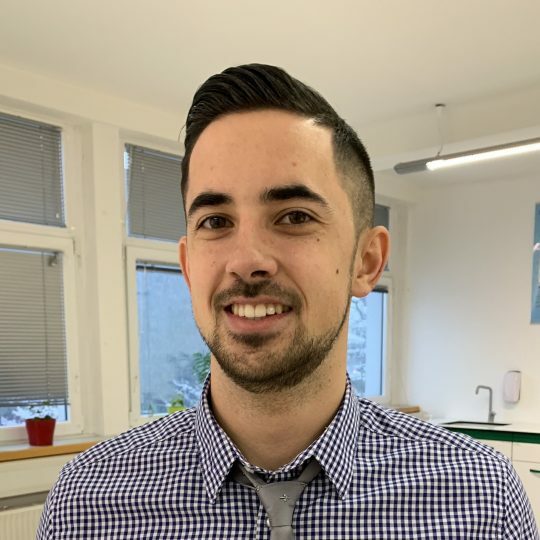 Since joining BISL to assist with Primary play breaks in January 2013, Anže has taken responsibility for the school’s lunch arrangements, administration, all site operations, including Health & Safety and from this year he has taken on a role of PE Teacher. Anže actively participates in a number of sports and outdoor activities, and operates a sports massage clinic in the evenings. Since graduating in Economics from the University of Ljubljana in 2012, Borut has continued to study and is currently completing his Masters degree. Borut joined BISL in 2012 as Finance Assistant, but his passion for technology and other IT related areas enabled him to change roles and is now the school’s IT Manager. A keen sportsman, Borut particularly enjoys playing football and loves volleyball, basketball and swimming. Brad has been living in Slovenia for the past 18 years where he has spent a lot of time running his own English language school, writing music and lyrics for his own band or a number of local pop stars, representing Slovenia in the national cricket team as well as all the other things that make life in Slovenia so fascinating. 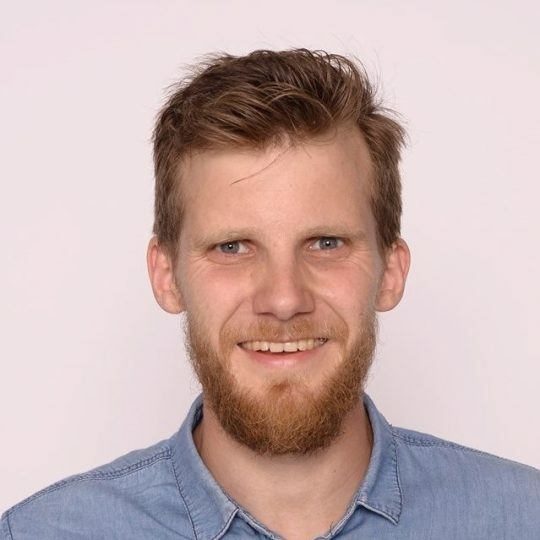 After teaching English in language schools in Indonesia, England and Slovenia, Chris went back to Australia to obtain his BEd(Hons) in Primary Education, specialising in Mathematics, TESOL and PE. In 2008, he returned to Slovenia, teaching in Secondary schools across the country as part of the European Class Project and Enriched Foreign Language Learning Project, in which he also held the position of English Co-ordinator at the National Institute of Education before joining BISL in 2011. He is also an IELTS examiner for the British Council. He is married to a Slovene and has 2 children. In his (limited) free time he enjoys playing a wide range of sports, including cricket, windsurfing, tennis, diving and snowboarding. A keen traveller, Chris has explored Asia, the Middle East and Europe and his favourite pastime is indulging in the culinary delights of the world and the replicating them in his own kitchen. After completing a study of Management at the Faculty of Economics in Ljubljana, Dagmar decided to pursue a different path that would lead her towards her passion, working with children. Since she is a horse lover, she wanted to become an Equine Assisted Therapy Assistant to help the children who were diagnosed with dyslexia, ADHD, emotional and/or behavioural problems, autism, cerebral paralysis and eating disorders. Dagmar also provided Equine Assisted Activities before joining the BISL Reception team in 2016 when she worked as a Learning Support Assistant for students with an IEP. Currently, Dagmar is working towards her teaching qualifications to specialize in early-years education. She has completed a professional development course in English in Early Childhood at the British Council, and an Early Childhood Education course at the Open Universities Australia. She also enjoys being creative in life, cherish precious moments with her family and is keen of challenges. She wrote and illustrated a self-published children's book. Dagmar has also found herself leading a meditation group in the evenings and training her dog through “Agility” twice a week. David has a BA in Humanities from Lincoln University and a PGCE in English from Nottingham Trent University. He has taught English in the UK, the Middle East and in France before joining BISL in 2017. A lover of language, David appreciates the way the world gives its own individual contributions to English, keeping it dynamic and fresh. He is excited to teach the traditional literature of English to students as well as letting them explore English in the modern world. David has always tried to explore the language of the country in which he is living, learning about the cultural quirks and nuances. Slovene may be the hardest challenge to date! In his spare time you will probably find David climbing in the mountains or just enjoying the open spaces. Music and language have been the mainstay of Dawn’s dual-track career. Before joining BISL in 2011, she spent over a decade teaching piano, performing, and accompanying choral groups and soloists, as well as working as a translator and editor. 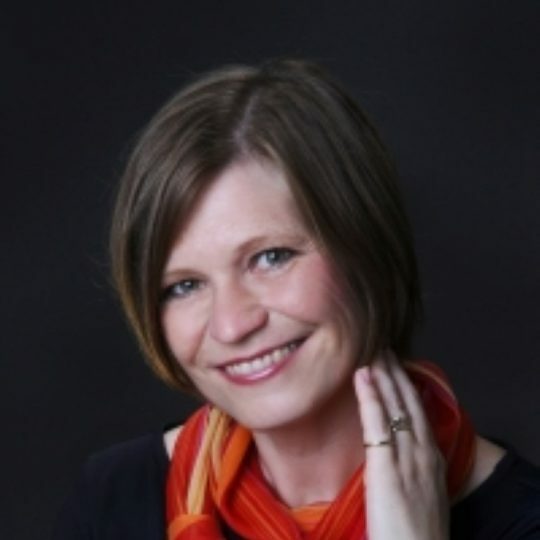 Dawn has been a member of several choirs and one orchestra, studied Kodály-inspired music education and musicology, taught undergraduate music history, and supervised operations at a large university music library. She has also assisted at archaeological digs in the Balkans and the Middle East and taught ESL and EFL for both children and adults in the United States, Slovakia, and Slovenia. Fluent in English, German and Slovene and familiar with several other languages (with Italian being her latest challenge), Dawn, her husband, and their three bilingual, bicultural children have made Ljubljana their home since 2001. She enjoys hiking Slovenia’s breathtaking trails, visiting neighbouring countries, reading, bicycling, gardening, cooking, playing piano, and keeping up with her busy young family. Liz is a passionate historian, with a degree in History from the University of London, and has always taken a keen interest in events and how people lived in the past. After working as a nurse and in retail, Liz trained as a Primary teacher, teaching in a three form entry, inner-city Primary school in London before joining BISL in 2010. After teaching Year 1 and Year 3, Liz took on teaching History in lower Secondary and supporting A-Level History In 2013, and has since moved into teaching History full-time. Liz lives outside of Ljubljana, where she walks and cycles in the beautiful countryside and regional parks. Other interests include embroidery and learning to play the piano. Emina is driven by exploring new places and opportunities. A week after graduating in Special and Rehabilitation Pedagogy from the University of Ljubljana, for instance, she travelled to Gambia to work with the youngest students and assist with curricular planning in a school there. Following a period working within the Slovene school system, Emina joined the SEN team at BISL in 2012 and, following a year of maternity leave, she has come back to us this year. As well as exploring new places and situations, Emina enjoys spending time with her new daughter, her family and friends; hiking and rollerblading; and she loves walking through the city centre in the early morning, as the first rays of the sun break through the darkness. 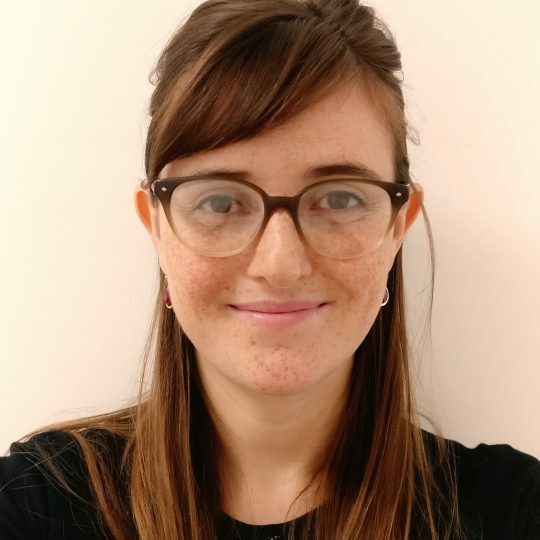 Hannah joined BISL in August 2018 from the South Coast of England. 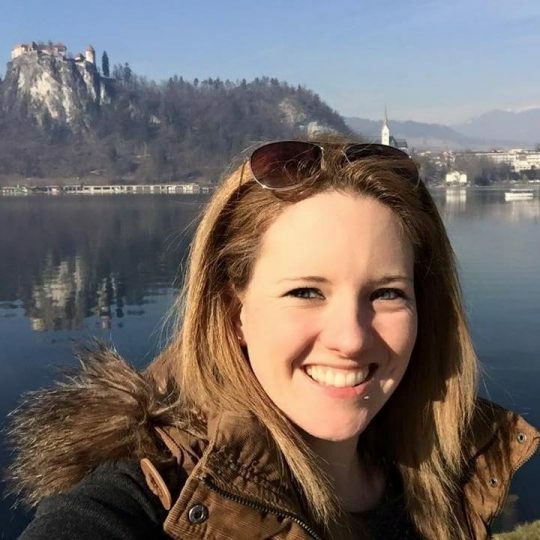 Hannah has taught PE in both British and International schools for 10 years in the UK and has now moved to Slovenia for her first overseas teaching role. 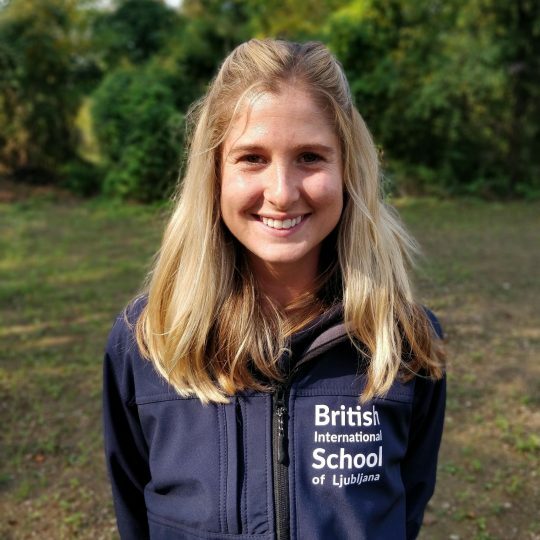 Hannah studied Sports Science at Brunel University, West London and has a passion for health and exercise which includes water sports, netball, yoga, running, nutrition and sports psychology. Jason gained his BSc in Psychology from Kingston University, in London, before undertaking a PGCE in Mathematics at Brunel. Whilst working in England as a Mathematics and Psychology teacher, he added a TEFL qualification to his repertoire and decided to explore more parts of Europe, teaching in Toulouse, Vienna and Barcelona. Jason joined BISL in August 2010 as a part-time teacher of Psychology and ESL and soon became a full-time member of staff, also teaching Maths. He has been the Mathematics Co-ordinator since 2012, whilst continuing to teach Psychology and took on the role of Examinations Officer in 2015. Jason divides his free time between long distance running and running after his two beautiful twin daughters. Katarina has completed her Masters degree in Ethnology and Cultural Anthropology at the Faculty of Arts in Ljubljana and is now working towards a teaching qualification, specializing in the early years. Katarina first joined the BISL team in 2014, as the afternoon receptionist and later assisting in Student Services and organising school trips. She has returned in 2016 to cover Reception in the afternoons and evenings. Outside of school, Katarina is a passionate scout leader and organises training courses for young leaders on behalf of the National Scout Organization of Slovenia. She is also an advocate of Forest Kindergartens and is organising workshops to promote the idea in Slovenia. She also enjoys travelling, sports and jazz dance. Katarina was born in Slovenia, but grew up in the UK She gained a BSc in Psychology and Social Anthropology from Brunel University and trained as a TEFL teacher before joining the International School of London. She later moved to Spain, as School Psychologist and SEN Coordinator at the International College of Marbella and other schools in the area. After returning to Slovenia, Katarina joined BISL in its opening year as a Music and Art Teacher, working with both Primary and Secondary students, and as SEN Coordinator and Administrator. In the years since, she has also been a Primary Class Teacher, has taken on the role of Child Protection Officer and has been the Head of Primary since 2014. With her musical background and her experience in performing arts and training young people, Katarina has been a keen member of the BIMS, as both a teacher and student, and is currently working hard to master the saxophone. After gaining a BA(Hons) at Wrexham, Katherine worked in a Pre-School in the UK, initially leading arts and crafts activities. During this time, she also trained as a TEFL teacher. Leaving the UK, Katherine traveled and worked in Europe before arriving in Slovenia in 2012, where she became actively involved in a number of social-care arts projects with disabled adults and children charities around Ljubljana, as well as teaching in Language schools. She spent a year working in a Slovenian Primary school, offering cross-curricular lessons with English, before being joining BISL as an Assistant Teacher in 2014. Katherine enjoys cycling, road trips abroad, cooking, creating artwork and gardening. 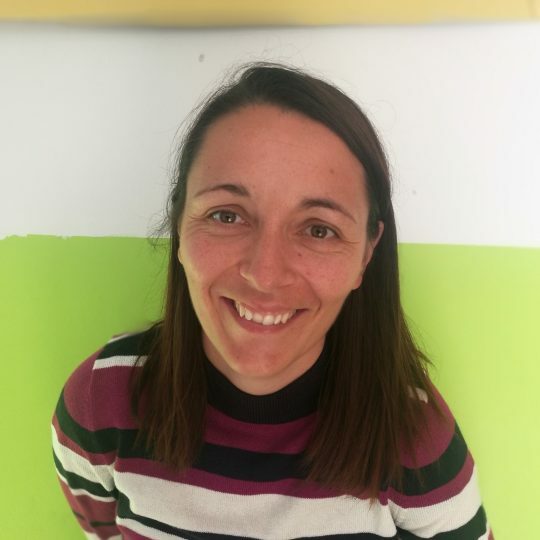 After being a primary teacher in Educational Priority Zones in France for several years; Kathleen joined BISL in August 2018. She is excited to promote the french culture and to teach the beautiful language that is French. Kathleen has an International Relations degree and a Primary Teacher diploma from the Pedagogy and Education University of Lyon, France, where she wrote her thesis about teacher's practice in bilingual school. She believes that the school purpose in to enable students to build strong fondations (academically, socially and emotionally ) in order for them to reach their own potential. Kathleen is married and enjoys travelling, reading, dancing and painting. In her spare time she likes spending time with people she loves. Katja gained her Bachelors Degree from the Faculty of Economics in Ljubljana, where she majored in International Relations. She is a licensed tax adviser, but after working for a number of years in an international tax advisory company and at the Egyptian embassy in Ljubljana, she joined the Accounts team at BISL 2014. Katja spends her free time with her family. Klemen gained his BSc in biology on Biotechnical faculty in Ljubljana and is finishing MSc in biology education. He worked in ZOO Ljubljana as a tour guide. Becoming a biology teacher was his dream since secondary school. His aim is to enhance students' love for biology and inspire new generations of scientists. Klemen is always optimistic and believes hard work and positive thoughts are key to success in every situation. A graduate of the University of Plymouth, with a degree in Graphic Design and a post-graduate teaching qualification, Laila started teaching Art and Design in 2005. She joined BISL in 2013, having taught in the UK and then for two years in the Falkland Islands, and this year has taken on the Director of Learning role for the Secondary school. Laila has come to Slovenia with her husband, Matthew, who also teaches at BISL, and their daughter. In her free time, Laila enjoys long walks, knitting and felting, reading and exploring Slovenia with her family. Lara is a graduate of Royal Holloway College (University of London), where she gained a BSc in Physics. As she particularly enjoys working with children and is also a CELTA-qualified teacher of English as a Foreign Language, Lara worked as learning assistant and tutor in the UK and Switzerland before joining the Science department at BISL as Laboratory Assistant in 2014. Lara enjoys spending time with friends and family, learning new languages, travelling, cooking, drawing, rollerblading and teaching. Lea graduated from the Faculty of Education in Ljubljana, Department of Special and Rehabilitation Pedagogy. She is soon to finish her Master studies in Special Developmental and Learning Difficulties. During her study years, she has worked with many different individuals, such as children with autism spectrum disorder, dyslexia and learning disabilities. Lea is also an experienced swimming teacher. Lea joined BISL in August 2017. She believes that the main goal for each child is to reach their own potential according to their individual abilities. In her free time, she enjoys spending time with her partner and friends, and she enjoys swimming, running and walking. Following a trip to beautiful Lake Bled in 2010, Leanne was drawn back to Slovenia 4 years later, where she began teaching at BISL. During her education Leanne received a BA Honours in ‘Youth and Community Education with applied Theology’ and after gaining valuable experience as a teaching assistant, later went on to complete a PGCE in Primary Education. At the age of 18, Leanne spent a number of months in Brazil carrying out missionary work. This certainly fuelled her passion to explore new places. Since then she has spent many years travelling both around Europe and around the world, however, she will always remain a Welsh girl at heart. In her free time, Leanne enjoys photography, keeping active and spending time with friends. Lya graduated from the University of Carabobo (Valencia, Venezuela) in 2003. She holds a Bachelor's Degree in Education with a major in English, and has a M.A. in Teaching English to Speakers of Other Languages from the University of Greensboro (North Carolina, USA). She worked in Venezuela as an ESL teacher in Venezuela in preschool, in primary and secondary schools. Lya also taught in college for two years before moving to the United States to teach Spanish in middle school and be an Spanish immersion teacher in 4th grade. In her spare time, Lya travels to different places with her husband. She also enjoys going to the cinema, and cooking different types of foods. Maja has worked in various language schools around Ljubljana, principally teaching very young learners and primary students. She has also worked extensively on a number of translation projects. After finishing her CELTA teaching qualification and spending a year teaching at Mint International House Maja initially joined BISL in 2010 as a part-time EAL teacher. Since then she has taken on a full-time role, also teaching Slovene as a Second Language. Maja enjoys travelling (especially to Spain), reading, and learning languages. She spends her free time with her daughter and husband. Maja graduated from the Faculty of Education in Ljubljana as a Pre-School Teacher and worked in Slovenian Kindergartens until her passion for everything British took her to the UK, where she taught in London for 3 years. She returned to Slovenia in 2008, working in Kindergartens here whilst completing her postgraduate studies in Teaching English to Young Learners. Maja completed a work experience placement for these studies at BISL, and then joined us full-time in 2014. A mother of three children, Maja loves reading and spending time with her family on trips in their motor home. She is passionate about children’s books, especially picture books, and her aim is to continue her professional development through a Masters degree in Children’s Literature. Marion arrived in Slovenia from the UK in 2007, after her two sons ‘flew the nest’. 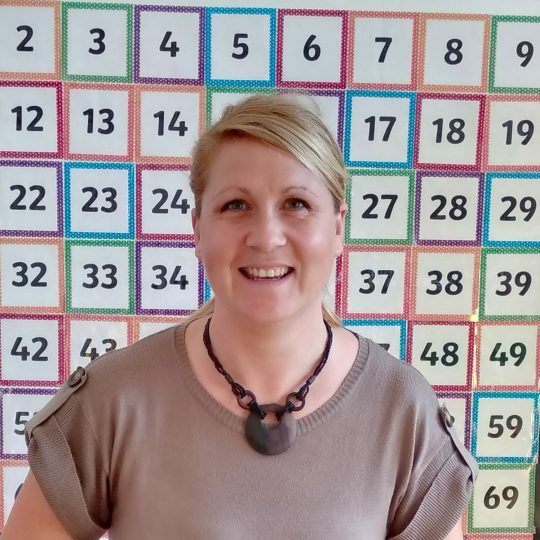 She started as a volunteer in the BISL Pre-School and now fulfills a very valuable role within the Primary team as Classroom Assistant, supporting the children’s learning across the whole section. Through the school, she has gained NVQ Level 3 qualifications in Children's Care, Learning and Development, and a Diploma (with Distinction) in Dyslexia. Marion’s hobbies and interests include walking, cycling, tennis, wild flowers and everything that Slovenia offers! After graduating in European Studies, Mark immersed himself in central European culture and politics for several years, subsequently completing a Masters thesis on Germany's relations with Slovenia and Croatia. Following time as an academic researcher at the Institute for German Studies, during which Mark interviewed many leading Slovenian politicians, he then worked as a researcher for foreign, security and defence issues at the British Embassy in Berlin. Mark trained to be a Humanities teacher in 2010 and worked at a state comprehensive school in the UK, while visiting Slovenia as often as possible. Mark has been an active member of the Slovenian Alpine Association since 2001, and has regularly assisted on mountain walks and camps with children. He spends his free time wandering the mountains and forests looking for bears; exploring modern Slovenian art, music and culture; and helping at a friend's olive grove near Koper. Mateja graduated from the Elementary Education, University of Maribor. She is also a certified skiing instructor. Before joining BISL, she has worked in UK as a teaching assistant, cover teacher and intervention teacher. She has been involved in morning and afterschool activities, such as Breakfast Club, Art and Design Club and co-leader of Eco club. Mateja enjoys spending time in nature, skiing and exploring new places. She is also a proud owner of two fluffy cats. After gaining his first degree in Japanese Language, Culture and Civilization at the Sorbonne University in Paris, Mathieu travelled to New Zealand to study English. He returned to France and began a further degree in English and French as a Second Language, which he completed in Australia whilst working as a French teacher at the Alliance Française and in other language schools. During his 5 years in Australia, he also completed his MEd, specialising in teaching English as a Foreign Language, to which he added a CELTA qualification upon his return to Europe. After coming to Slovenia in 2012, Mathieu joined BISL in 2013. Mathieu is insatiable in his desire to learn new things about different cultures and different people. Previously Michael’s original profession was a career as an Aeronautical Design Engineer. He worked on Military and civil design projects in the UK and Europe. Tempted into teaching, Michael graduated with Physics and Science Bed from Liverpool John Moore’s University (JMUL) in 1997 and began teaching in Liverpool. He subsequently became responsible for managing and developing teacher training programmes with JMUL and Liverpool University. Over the following 20 years Michael has worked in several schools in the UK overseas territories. He has managed several departments in different subjects as well as whole school leadership roles. 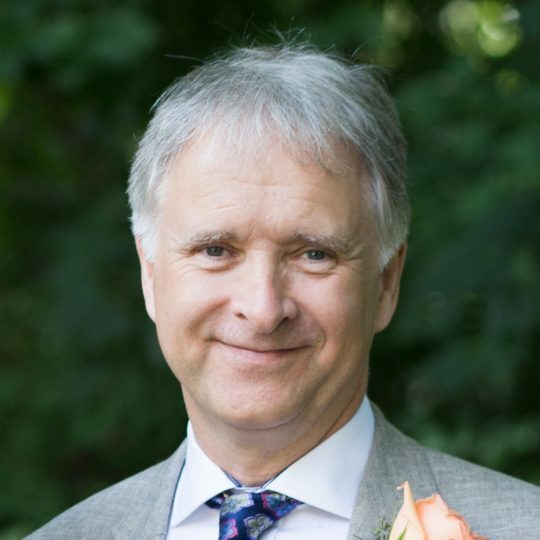 He is passionate about teaching and learning and has delivered papers at international conferences on holistic learning and cognitive science. He has worked with various Universities in the UK to develop learning strategies and closely with Sheffield Hallam Mathematical department on proposals for educational development in Africa. Michael has worked as a consultant in public, private and corporate sectors. He has extensive experience in mentoring, training, and coaching at both professional level and with students. He has coached Rugby and Football teams to National Competitive Level. Nermina is a graduate of the Faculty of Arts, University of Ljubljana, with a degree in teaching English language and literature, focusing on teaching grammar to different age groups to best fit the learner's needs. Her work with children has been recognised by the US Department of State, Bureau of Educational and Cultural Affairs, which awarded her a certificate of merit for her dedication and services to the Southeast Europe Youth Leadership Institute. Nermina joined BISL in 2013 as an EAL teacher and fell in love with the school, the community and the culture. Nermina is married and considers spending time with her family as the source of her happiness. She also loves her orchids, dancing, travelling and falling in love with life itself. This year, she set herself a new challenge … and finished her first ever marathon. Nino received his Bachelor of Elementary Education from the University of Maribor. He also holds a Certificate of Advanced English from the University of Cambridge and is a certified swimming instructor. Nino first came to BISL to complete a voluntary teaching practice, and then focused his thesis onto the integration of a foreign language into the IPC. He subsequently joined the school as a full-time teacher in 2009 and is now the Topics Coordinator for the Primary school - which ensures that his interest in developing the minds of young people is continued. He enjoys married life in Višnja Gora and renovating his home. In any spare time he has, he likes to travel, read and participate in various sporting events with friends. Petra has been a dancer since she was a young girl, training and competing in Ballroom and Latin-American in particular. Upon graduating in Pedagogy from the Faculty of Arts at the University of Ljubljana, she taught at the Urška dance school before running independent dance classes around Slovenia. She trains other dance teachers through Dance Association Slovenia and is a leading teacher, and performer, of wheelchair dancing. Since starting at BISL in 2009 as a part-time and after-school dance teacher, Petra now works full-time, teaching dance throughout Primary and to clubs, co-ordinating the lesson 9 activities and the BISL Creators after-hours programmes, and supporting the general administration of the school at the Reception desk. In the winter, Petra is a keen skier, but her real goal is to have her own dance school and to show everyone that dancing can be easy, fun and healthy. Polona graduated from the University of Ljubljana with BSc in Microbiology and continued her graduate studies in the US, first in New York at NYU and then at the University of Iowa. After completing her PhD and several years of postdoctoral research in an international academic environment, she and her family missed the geographic beauty of Slovenia and decided to return to Ljubljana. Prior to joining the BISL teaching team in 2012, Polona used her knowledge and educational skills in a pharmaceutical marketing team at Sandoz/Novartis. Throughout her career, she has found teaching inspiring and rewarding, and now heads the Secondary Science department, making sure that learning sciences at BISL is heavily based on practical opportunities. Polona loves spending time with her daughter, walking her dog and running. 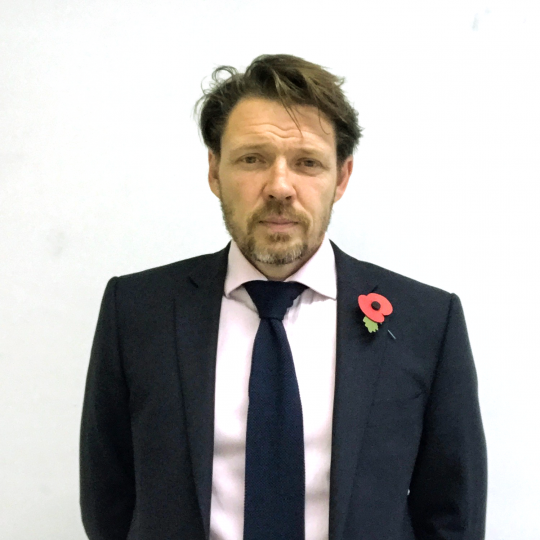 Robert started his teaching career with the British Council, teaching English as a Foreign Language in Bahrain, Chile, Pakistan, Jordan and Portugal, where he also helped to train teachers in Portuguese schools. He returned to England to complete his MEd before moving to Vietnam, where one of his proudest achievements was championing the introduction of motor cycle helmets into the school uniform, even though there was no legal requirement to wear them. He was the first teacher to join BISL, here for the school’s opening in 2008. Robert believes that children thrive in a structured but creative environment with teachers who are constantly looking for new ideas to try out in the classroom. A keen walker, Robert has been lucky enough to trek in many of the world's highest mountain ranges. He enjoys sampling and cooking local food, and is currently developing his gardening skills at his home in the Vipava valley. Romy graduated from Stenden University in the Netherlands with a BEd in Primary Education in the special track of International Teacher Education for Primary Schools (ITEps). During her studies, Romy specialised in Mathematics and Inclusive Education (SEN) and studied abroad in Denmark for a semester. She gained valuable teaching experience in international schools in various countries, including Italy, Portugal and the Netherlands. Romy focused her thesis on assessing learning progress using e-portfolios and aspires to keep researching and working with ICT tools in her teaching career. Romy joined BISL in the summer of 2017. In her spare time, Romy enjoys photography and videography and is eager to capture all the beauty Slovenia has to offer. She also enjoys reading books and is an aspiring novelist. Rosemary has a Certificate of Education from the University of London and a BA in Child Development and Philosophy. She joined BISL in 2017, bringing a wealth of experience as a teacher and school leader in mainstream and private education in the UK and overseas. Having worked in large and small schools, Rosemary particularly enjoys the opportunities be found in new and growing schools and is excited to be in another such school focusing on providing a stimulating, challenging, caring and happy environment in pursuit of an all-round education for its students. Simon became part of the team in July 2012. His previous career roles have included team leadership, and caring for young people with behavioural problems. He is also the proud father of two rather grown-up ‘children’, and one child that is of nursery age. 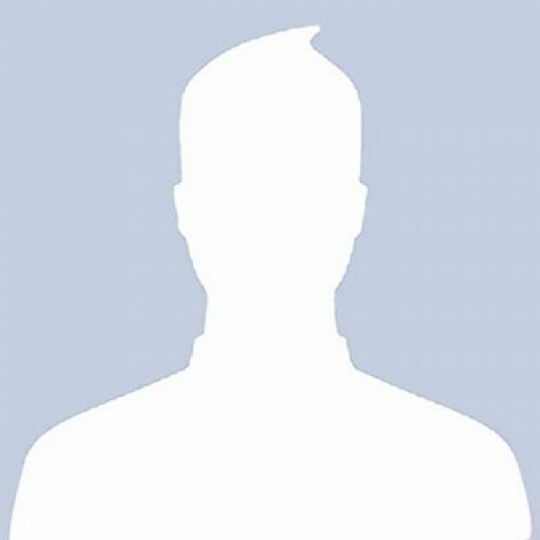 Simon enjoys being active and spending time in the great outdoors, but admits that his love of reading, and enthusiasm for cooking, have not been beneficial to his current level of fitness! Stephanie is Greek/Australian. She graduated from Queensland University of Technology with a Bachelors degree in Education and is currently working towards her Masters. Before moving to Slovenia to join BISL, she taught for several years in one of Australia's top private schools. Stephanie's real passion is working with middle school students, building in them a strong foundation and high standards and expectations from which their academic, social and emotional wellbeing can flourish. In her spare time, Stephanie enjoys Latin dancing and loves going on long walks to explore the countryside with her Slovene partner and their dog. Sue has been a member of the BISL team since the school first opened it’s doors in 2008. Prior to that, she had taught in the UK, Saudi Arabia, Kuwait, Hungary and Qatar. She has a BA(Hons) Degree in Early Childhood Education, a RSA/UCLS TEFL Certificate and an MA in Early Childhood Education. Based on her teaching experiences abroad, she focused her dissertation on the effects that internationalism may have on childrens' relationships. Over the years, she has attended many overseas conferences and has had several articles published about Early Years education. 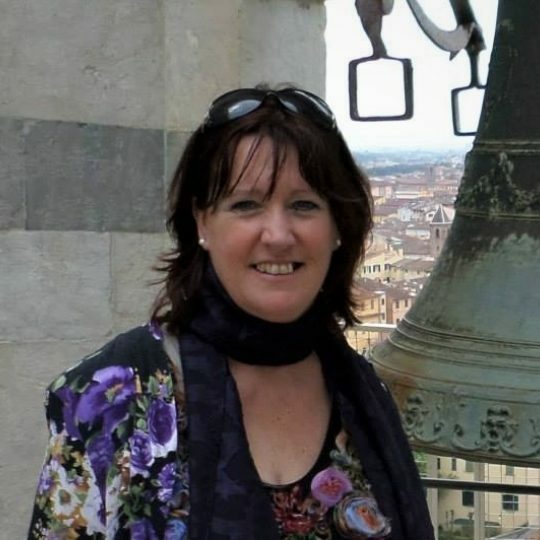 Originally from Wales, Sue enjoys experiencing different cultures and exploring exotic places. She is an outdoors enthusiast as well as enjoying concerts (both classical and pop), the cinema and dining out with friends. Suzana graduated from the Faculty of Arts in Ljubljana and worked in the private sector in marketing and as a translator. She also taught in Primary schools and conducted workshops for teenagers before joining BISL as a Slovene teacher in 2013. Suzana is a passionate volunteer and currently gives her time as a friend of the elderly in a nursing home. Špela gained her Economics degree in Ljubljana, majoring in accounting and marketing. She is currently working towards a further degree in the management of life-long learning. Whilst working in the finance department of a furniture factory in Idrija, Špela set up her own accountancy services company and through this started working with BISL in 2012. She took on the full-time role as Finance & HR Manager in 2014. Špela is married, and has a daughter and a beautiful golden retriever called Gal. Tanja graduated from the Faculty of Arts, Univesity of Ljubljana in Slovenian language and literature and is a specialist in Slovene as a Second or Foreign Language. During her studies, she worked as an assistant at the Centre for Slovene as a Second or Foreign Language at the University of Ljubljana and continues to work with them though their many Youth Summer Schools and Language courses at the faculties in Ljubljana and Koper. Tanja has also worked with international families living in Slovenia, assisting them with their language and integration in Slovenia, and with pre-school children. Tanja joined the BISL team in January 2012. In her free time Tanja enjoys hiking, reading, concerts and spending time with the people she loves. Tanya has been teaching in European and Asian universities for the past six years where she has worked mainly with pre-master Finance and Economics students as well as working on educational collaboration programmes between industries and universities before joining BISL. In her free time she enjoys spending time with family and friends. After completing her BSc in Adelaide and post-graduate studies at Monash University, Tanya worked in the field of sleep science until choosing to move into teaching, gaining a BEd at Deakin University, with qualifications as both a Primary teacher and as a Secondary Biology teacher. As well as in schools, Tanya has worked in orphanages in India, with illiterate adults in Australia, and with severely disabled children. These experiences created the spark for setting up the Caring for the Community programme at BISL. C4C empowers students to make a positive difference to our own school as well as the local and wider community. Additionally, Tanya has a passion for reading and writing, which comes across clearly in the creative activities she organises as Primary Literacy Coordinator at BISL. Tanya is married, and has three children, one dog, two cats, two turtles and a lizard to keep her busy while traveling and writing her novels. Tina studied English Language and Literature and Czech Language and Literature at the University of Ljubljana and started at BISL in September as a part-time Receptionist to help support her studies. As soon as she took on a full-time role, she became the ‘go-to’ person for may aspects of school life and has been managing Admissions and Student Services since 2014. As part of this, Tina arranges the logistics for school trips, organises class photos and the year book and keeps the community up-to-date through social networks. In her free time, Tina enjoys traveling and spending time outdoors. Prior to joining the BISL team in 2018, Tobija worked in an IT firm in Slovenia as a Key Account Manager. After graduating from Ljubljana's Faculty of Arts with degrees in English Language and Literature and Comparative Literature and Literary Theory, he spent more than two years teaching at the Montessori Elementary School in Ljubljana. Tobija is also an experienced translator and a writing enthusiast. Among his many translation projects are the books from prominent authors such as Gary Chapman and the education and creativity expert, Sir Ken Robinson. Tobija is a combination of a bookworm and a people's person. He loves spending time alone, reading, writing or running, but couldn’t imagine a life without his wife and three children or an occasional get together with colleagues and friends. Viktorija has studied in Ljubljana, Graz, Leipzig and London. She has an MA in German Linguistics and has been teaching translation and LSP at the Faculty of Arts in Ljubljana since 1999 … and she is also a teacher of English! She is as published author in the fields of translation, readability and teaching translation, and is currently completing her doctorate with a dissertation on Frame Semantics and Knowledge Transfer. 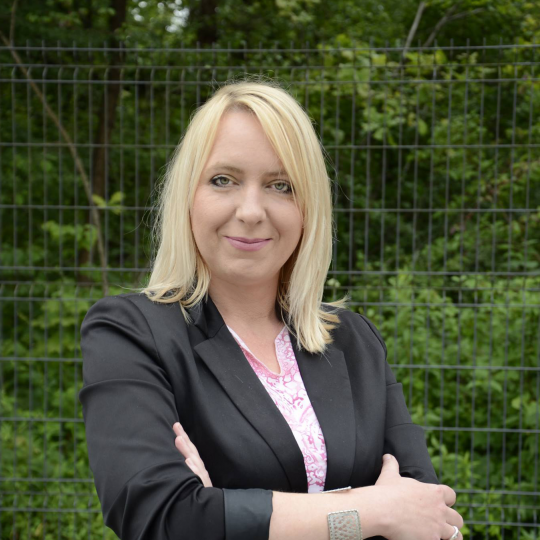 Viktorija is a specialist in court interpreting and legal translation and is an advisor to the Slovene Ministry of Justice. In 2012 she founded the Association of Sworn Court Interpreters and Legal Translators of Slovenia. With her extensive experience as a translator and an interpreter, and her work as a teacher and in-house internship coordinator for her students at university, Viktorija was an ideal choice for BISL to approach to join us In 2014 as Secondary German teacher. Viktorija is a great dog lover and keen walker. She is married and has two grown-up children. Orbital Education owns and manages the British International School of Ljubljana. Orbital Education is British owned and British based, with its headquarters near Manchester. The company was founded in 2005 by Kevin McNeany, who is recognised as a pioneer of British international education. Kevin had an impressive career as the founder of Nord Anglia Education in 1972, which is now seen as the foremost international schools groups in the world. He led the IPO of the company in 1997 and it is now listed on the New York Stock Exchange. In 2005, Kevin started Orbital Education, which now owns and operates 10 schools in Russia, Spain, Qatar, Hungary, Slovenia, Ecuador and China. Orbital Schools offer the English National Curriculum in all schools and the International Baccalaureate in some. Cesta 24. junija 92, 1231 Ljubljana-Črnuče. This is also our registered office and delivery address.